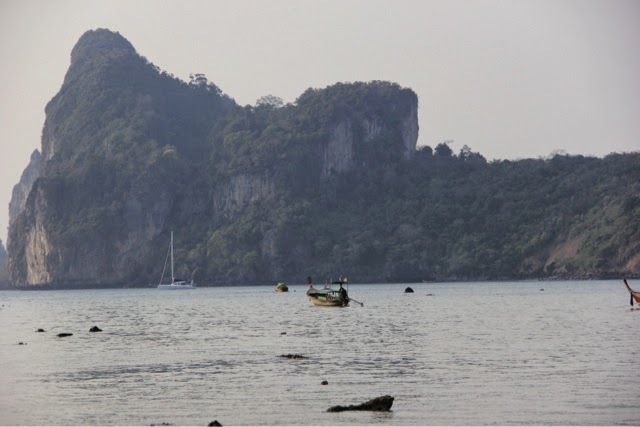 Maya Bay in Koh Phi Phi is “the beach” from the movie. It is really beautiful, but extremely busy, and you need to take a boat to get there. 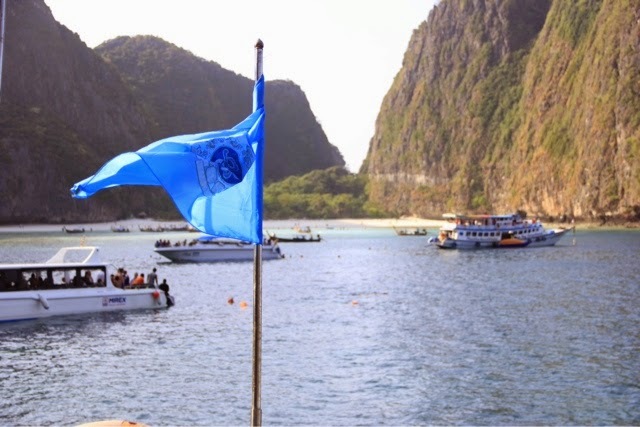 You can’t walk 5 feet in Phi Phi without seeing a company that offers a tour there. Around lunchtime, the place turns into a circus, with many more boats, and thousands of tourists. 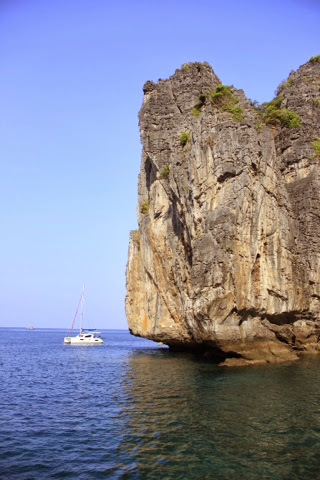 When we got to Koh Phi Phi I was a little disappointed. 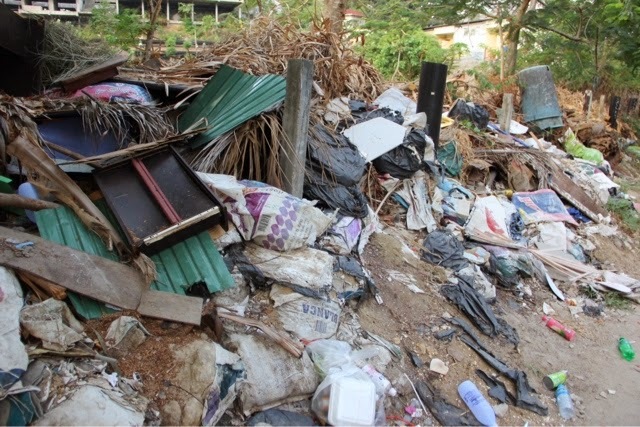 The island (Phi Phi) is overcrowded and very dirty, and you can see trash everywhere. There are no cars, only bikes, and small carts to move stuff around. Garden Inn Bungalow – a room with a fan is $900 baht. 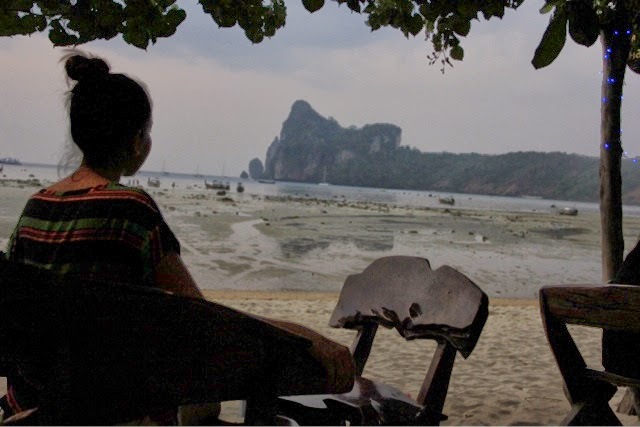 We only stayed in Phi Phi for one night. 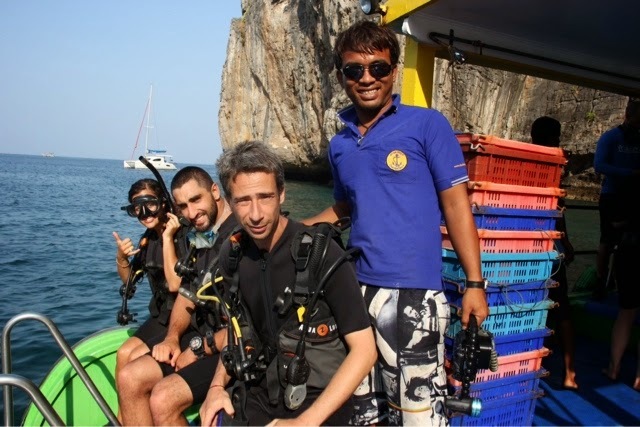 I was a little sick so I couldn’t go diving. Christian booked two dives and I went on the same boat, to do some snorkeling instead. He saw a turtle and Nemo. I picked an Italian restaurant on the beach, and it was terrible. Our first bad eating experience, at least the view was nice. 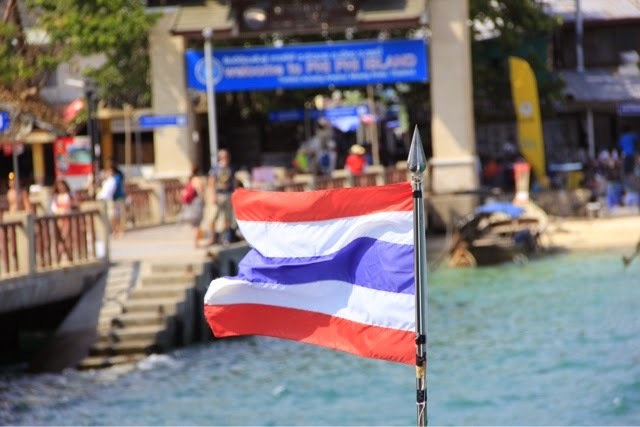 We are now in Koh Lanta, a much more quiet island. 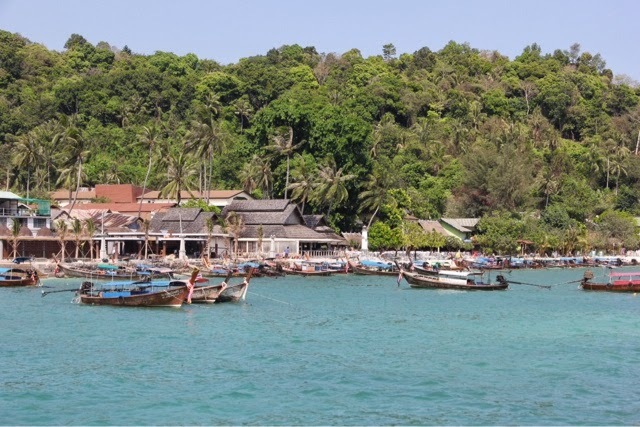 It’s only a one-hour ferry ride from Phi Phi. The ticket was $300 baht approx. $12.